The upcoming female-led superhero movie from DC Comics Birds of Prey has reportedly added two more female heroes to its roster. According to this recent rumor, both Black Canary and Huntress will make their DCEU debuts in this exciting ensemble movie. 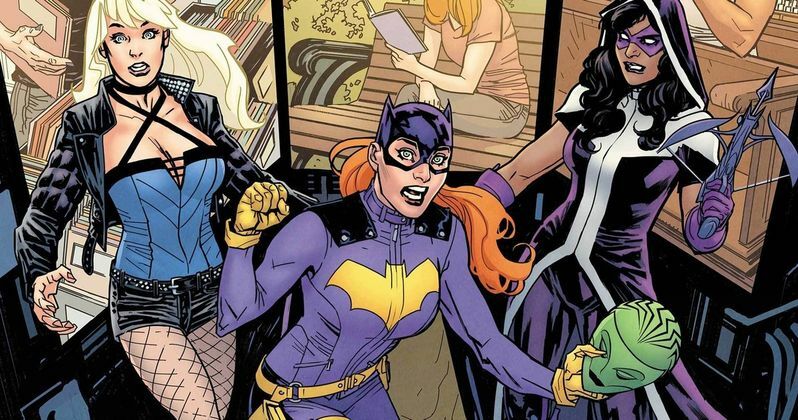 Not much is currently known about Birds of Prey, except that it will feature a good number of DC's notable female characters. Margot Robbie, who played Harley Quinn in 2016's Suicide Squad, will reprise her role, and will also produce the movie. It is set to be directed by Cathy Yan, the director of Dead Pigs, a hit independent film that premiered earlier this year at the Sundance Film Festival. Outside of Margot Robbie / Harley Quinn, there is no word of who else will appear in the movie, in regards to both characters and cast members. It's a very safe bet that characters like Batgirl and Catwoman will appear. The movie is rumored to take place after the events of Gotham City Sirens, another female-led DC movie set to feature Harley Quinn, Catwoman, and Poison Ivy as the main characters. All in all, the inclusion of Black Canary and Huntress wouldn't be too big of a surprise considering their involvement with the superhero group in the comics. As a matter of fact, currently in the comics, the only three members of the Birds of Prey are Batgirl, Black Canary, and Huntress, so it would be rather difficult to imagine a Birds of Prey movie without the involvement of those heroes. For the purpose of the movie's namesake, Black Canary's inclusion is practically essential. Of the three main female heroes on the team, Black Canary is technically the only one named after a bird, so it would be hard to explain why a team without her would still be named "Birds of Prey." At this time, there are no reports of who will actually play Black Canary or Huntress, or even Batgirl for that matter. Because of this, we can anticipate that it will be some time before we actually see this movie come to be. Birds of Prey does not even have a release date yet, so it appears to still be in the early stages of development. Hopefully more details will be revealed next month at the San Diego Comic Con, which DC tends to dominate due to their monstrous amount of announcements. All in all, we should hopefully expect to see a few more female heroes in Birds of Prey other than Batgirl, Black Canary and Huntress. While we know Harley Quinn will be in it, it's unlikely that we will see her and the rest of the Gotham City Sirens join the Birds of Prey, as it might ruin the "hero vs. villain" dynamic that has kept DC alive for so long. More than likely, we should expect to see more bird-themed female superheroes appear in this movie, including Lady Blackhawk, Hawkgirl, Condor, and Dove. While Birds of Prey is still a long way away, this rumored inclusion of Black Canary and Huntress reported by Omega Underground is great news for DC fans. A number of announced DC movies have been dropped or forgotten by Warner Bros. Pictures, so it is great to hear that this is not one of those movies. Hopefully we will receive official confirmation about this rumor next month at San Diego Comic Con.